Phenomenal, indeed. Artist Nicholas Galanin explores his own Thingit culture and art derived from the people of Alaska. 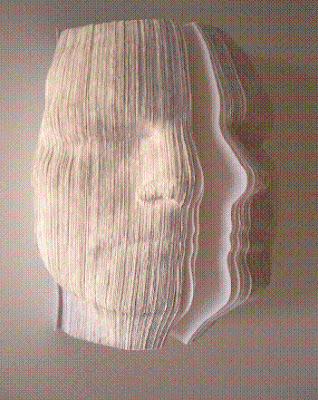 Creating forms of faces from books, Galanin brings a new medium to the art form of sculpture.